Summer is finally here and for many it is a time for relaxation, holidays and enjoying social events. For others it can be a time that triggers feelings of being anxious, overwhelmed and stressed. People may feel pressured to look a certain way, go to events and live a spontaneous life. 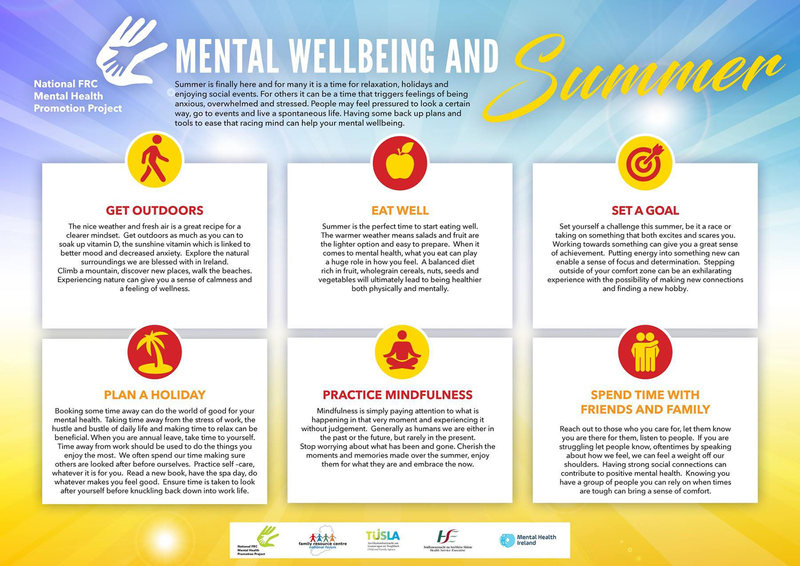 Having some back up plans and tools to ease that racing mind can help your mental wellbeing.